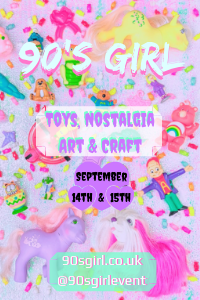 Information about updated toys sections, and newly added toy sections for 2019. I've just added several new sections for various Galoob and Tonka "boys toys"! At the moment they are just catalogue scans, rather than a complete list of toys. Go-Bots were produced by Tonka from 1983-87. Legions Of Power were produced by Tonka from 1986. View all Legions Of Power on eBay.com or eBay.co.uk ! Rock Lords were produced by Tonka from 1986-87. View all Rock Lords on eBay.com or eBay.co.uk ! 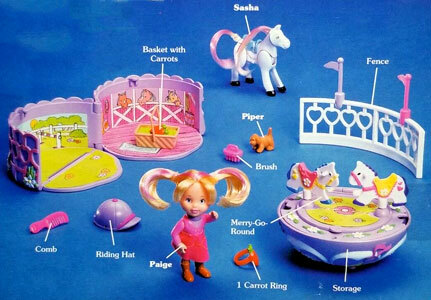 Spiral Zone were produced by Tonka from 1987. View all Spiral Zone on eBay.com or eBay.co.uk ! 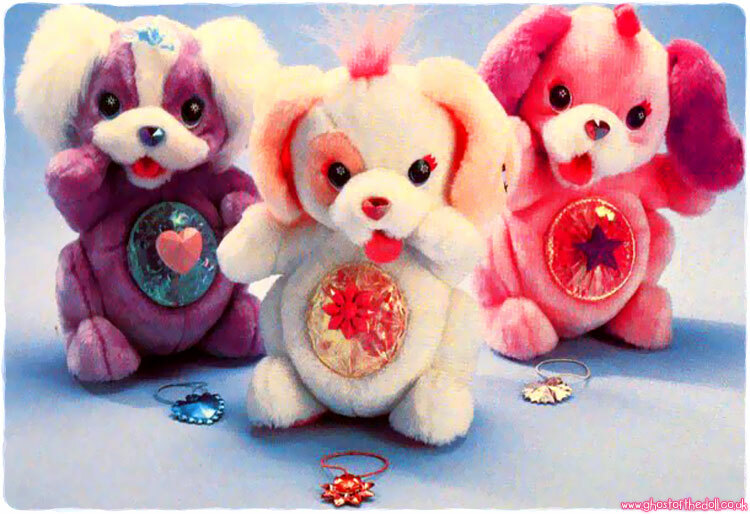 Super Naturals were produced by Tonka from 1987. View all Super Naturals on eBay.com or eBay.co.uk ! Z-Bots were produced by Galoob from 1992-94 and were part of their Micro Machines line. I've just added a new section for SURPRISE SURPRIZE! 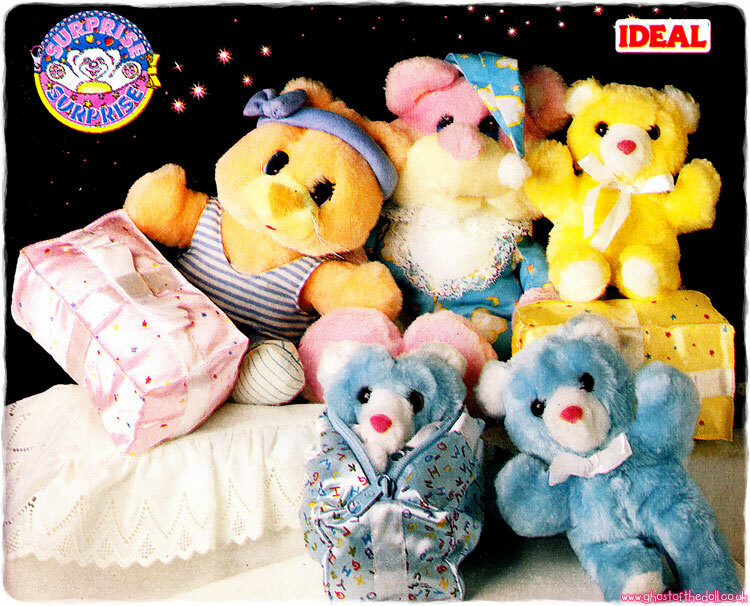 They were produced by Commonwealth/Ideal in 1987 and were a small line of plush animals which turned inside out into wrapped gifts via a zip on their back. If you know anything more about this line please contact me! View all Surprise Surprize on eBay.com or eBay.co.uk ! 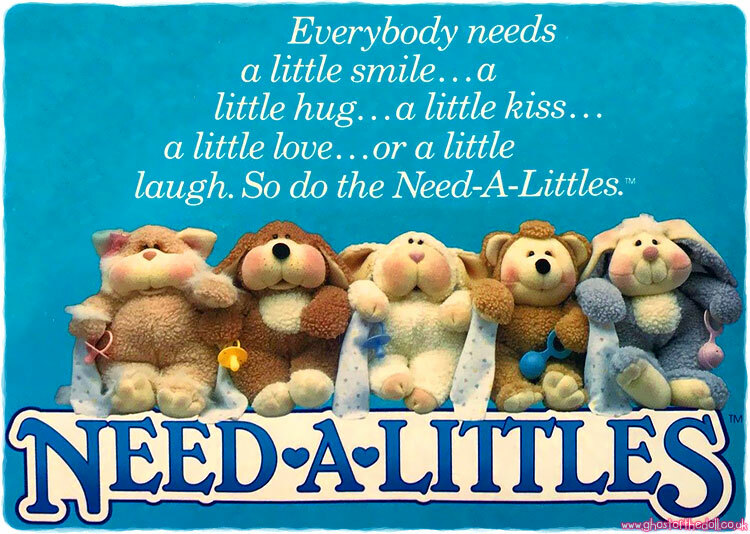 I've just updated the NEED-A-LITTLES sections with better images of all the toys plus a couple of packaging images. View all Need-A-Littles on eBay.com or eBay.co.uk ! View all Fluffy Surprise on eBay.com or eBay.co.uk ! 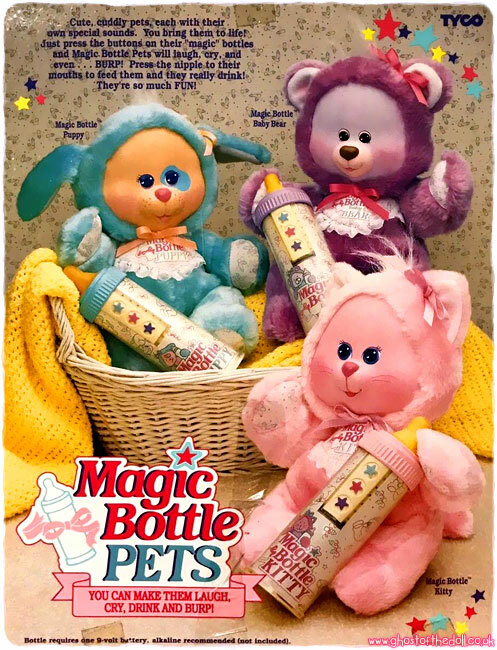 View all Magic Bottle Pets on eBay.com or eBay.co.uk ! 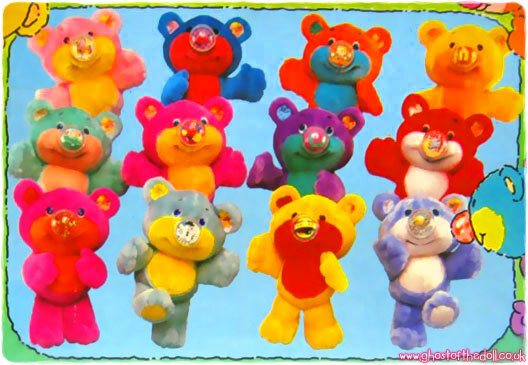 I've just updated the entire NOSY BEARS section with better images for all bears and bunnies, plus packaging images and lots more accessories! View all Secret Keepins on eBay.com or eBay.co.uk ! Lovely Lockets ~ The unknown doll was called "Paige Prom Party". Glitter Perfume ~ There were six dolls in this set produced by Tyco (I had previously only found three). All now have names and images. 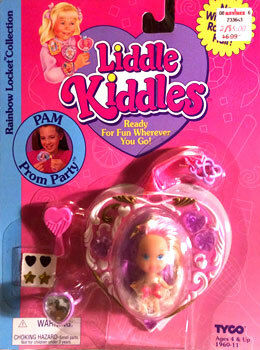 Rainbow Lockets ~ The unknown doll was called "Pam Prom Party". 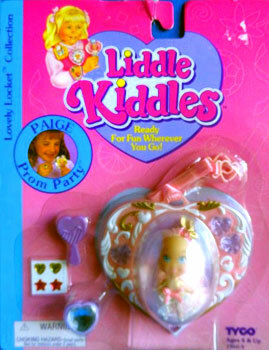 View all Liddle Kiddles on eBay.com or eBay.co.uk !